Kaiona Beach Park is a 4-acre family-friendly beach park located at the foot of Ko'olau Mountains at the south end of Waimanalo Bay on Oahu's windward coast. 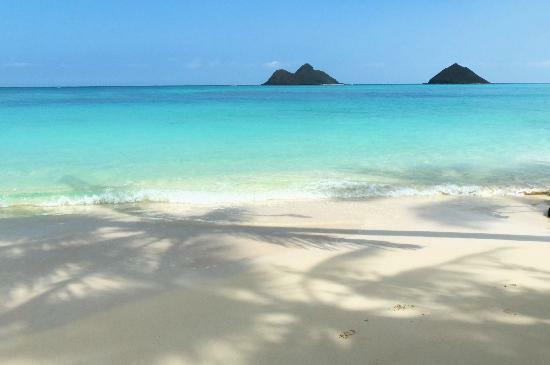 The beach's turquoise water lives up to its name Kaiona, which means "attractive sea" in the Hawaiian language. 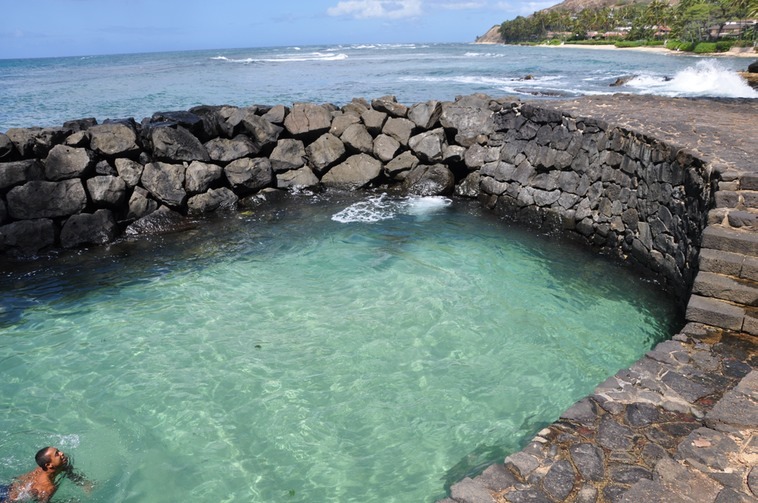 The beach is the location of an ancient Hawaiian fishpond, called Pahonu Pond, which offers excellent swimming opportunities for its calm and clear waters as well as sandy bottom. This part of the beach is popular among children and novice swimmers. During low tide, the walls of the fishpond are visible. Outside of the seawall is a mixture of rocks and sandy patches. The pond's name means "turtle fence" in the Hawaiian language. According to a legend, a turtle meat-loving chief of the district had the pond built so he can have a steady supply of live turtles. Honus or green sea turtles remain abundant in this beach which also offers snorkeling opportunities. The beach has a grassy area ideal for picnics and soaking up some sun. Nearby is the Shriners Club Estates, a private clubhouse built in 1931 and is currently a popular venue for weddings, birthday parties and other events. The beach also has a boat anchorage and a boat launch site, the only one between the Hawaii Kai Boat Ramp at Hawaii Kai and the ramp at Kailua to the north. 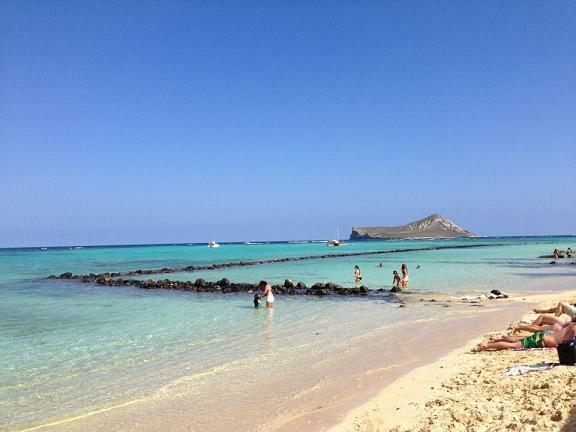 Kaiona Beach Park is located at 41-575 Kalanianaole Hwy, Waimanalo, in Oahu, Hawaii. Facilities include showers, restrooms and picnic areas.